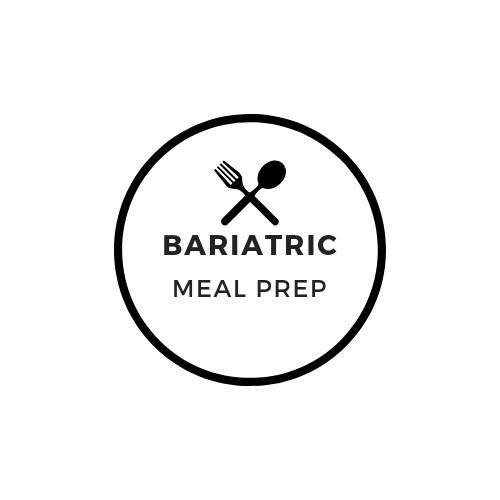 Finally a Low Carb Pumpkin Spice Latte you can enjoy after bariatric surgery. Plus it has real pumpkin in it! 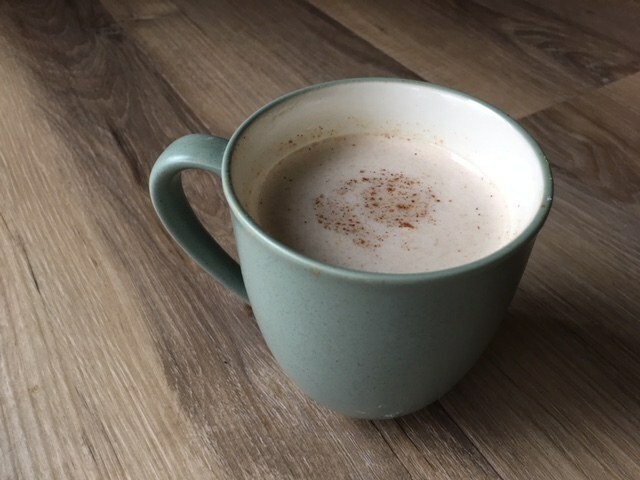 This low carb pumpkin latte uses unsweetened coconut milk but you could easily substitute almond milk instead. You may also use regular milk for a classic flavor but please know it will add more carbs. Adding regular milk, however, will also add more protein so you need to decide what is best for you. Since many people would rather eat their carbs instead of drink them I decided to use unsweetened coconut milk. You can purchase pumpkin spice at the grocery store but you can also prepare your own mixture. I chose to make my own concoction and used this recipe from Allrecipes. The first time I tried pumpkin spice latte I did not use any sweetener. It was not terrible but I did prefer it better sweetened. 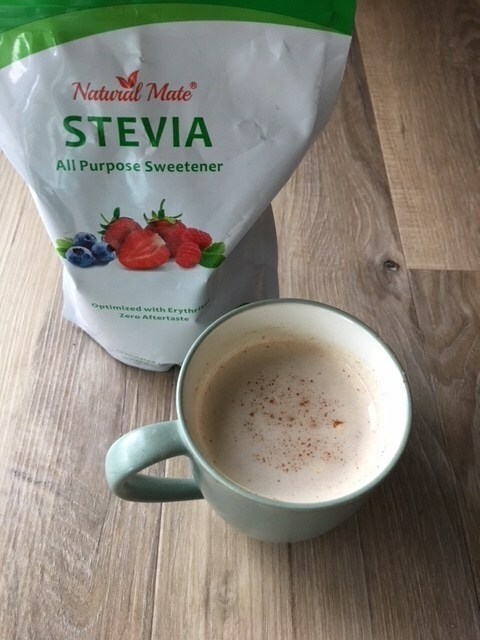 I used a stevia erythritol blend that I purchased from Amazon (affiliate link). I prefer the combination of sweeteners because it did not leave me with a funny after-taste. Since I am always on the hunt for higher protein options for you, I made this drink with, both, vanilla protein powder and unflavored protein powder. Hands down, the unflavored protein powder tasted better! The vanilla protein powder tasted too artificial and sweet. If you choose to add the unflavored protein powder, please remember not to add the protein until the temperature is below 140 F.
This recipe would be perfect for anyone who is past phase 2 after surgery. The coffee may be too acidic on the stomach early on. Some surgery centers may recommend avoiding caffeine altogether. If that is the case, you may use decaf coffee but please check with your guidelines ahead of time to make sure the spices comply with your surgeon’s recommendations. A yummy, warm bariatric approved beverage to drink after surgery. Heat up coconut milk, pumpkin puree and and stevia blend until steaming. Remove from heat and add pumpkin spice and coffee. If using protein powder add once temperature reaches below 140 F.
Add whipped cream if desired and if within your surgeons guidelines. Sprinkle with pumpkin spice. Be cautious with coffee. Please follow surgeon’s guidelines. If you add unflavored protein powder, please add 20 g of protein to the nutrition facts.